Those who do not do their homework do not graduate. 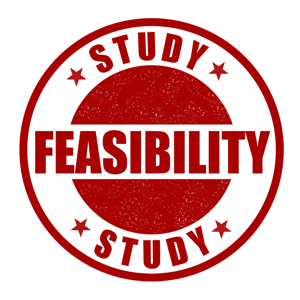 In its simplest form, a Feasibility Study represents a definition of a problem or opportunity to be studied, an analysis of the current mode of operation, a definition of requirements, an evaluation of alternatives, and an agreed upon course of action. As such, the activities for preparing a Feasibility Study are generic in nature and can be applied to any type of project, be it for systems and software development, making an acquisition, or any other project. 1. The Project Scope which is used to define the business problem and/or opportunity to be addressed. The old adage, "The problem well stated is half solved," is very apropos. The scope should be definitive and to the point; rambling narrative serves no purpose and can actually confuse project participants. It is also necessary to define the parts of the business affected either directly or indirectly, including project participants and end-user areas affected by the project. The project sponsor should be identified, particularly if he/she is footing the bill. I have seen too many projects in the corporate world started without a well defined project scope. Consequently, projects have wandered in and out of their boundaries causing them to produce either far too much or far too little than what is truly needed. 2. The Current Analysis is used to define and understand the current method of implementation, such as a system, a product, etc. From this analysis, it is not uncommon to discover there is actually nothing wrong with the current system or product other than some misunderstandings regarding it or perhaps it needs some simple modifications as opposed to a major overhaul. Also, the strengths and weaknesses of the current approach are identified (pros and cons). In addition, there may very well be elements of the current system or product that may be used in its successor thus saving time and money later on. Without such analysis, this may never be discovered. Analysts are cautioned to avoid the temptation to stop and correct any problems encountered in the current system at this time. Simply document your findings instead, otherwise you will spend more time unnecessarily in this stage (aka "Analysis Paralysis"). 3. Requirements and how requirements are defined depends on the object of the project's attention. For example, how requirements are specified for a product are substantially different than requirements for an edifice, a bridge, or an information system. Each exhibits totally different properties and, as such, are defined differently. How you define requirements for software is also substantially different than how you define them for systems. Does the recommended approach satisfy the requirements? 5. Evaluation examines the cost effectiveness of the approach selected. This begins with an analysis of the estimated total cost of the project. In addition to the recommended solution, other alternatives are estimated in order to offer an economic comparison. For development projects, an estimate of labour and out-of-pocket expenses is assembled along with a project schedule showing the project path and start-and-end dates. After the total cost of the project has been calculated, a cost and evaluation summary is prepared which includes such things as a cost/benefit analysis, return on investment, etc. 6. Review that all of the preceding elements are then assembled into a Feasibility Study and a formal review is conducted with all parties involved. The review serves two purposes: to substantiate the thoroughness and accuracy of the Feasibility Study, and to make a project decision; either approve it, reject it, or ask that it be revised before making a final decision. If approved, it is very important that all parties sign the document which expresses their acceptance and commitment to it; it may be a seemingly small gesture, but signatures carry a lot of weight later on as the project progresses. If the Feasibility Study is rejected, the reasons for its rejection should be explained and attached to the document. It should be remembered that a Feasibility Study is more of a way of thinking as opposed to a bureaucratic process. For example, what I have just described is essentially the same process we all follow when purchasing an car or a home. As the scope of the project grows, it becomes more important to document the Feasibility Study particularly if large amounts of money are involved and/or the criticality of delivery. Not only should the Feasibility Study contain sufficient detail to carry on to the next succeeding phase in the project, but it should also be used for comparative analysis when preparing the final Project Audit which analyses what was delivered versus what was proposed in the Feasibility Study. 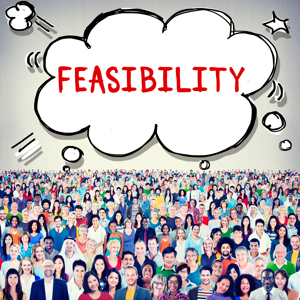 Feasibility Studies represent a common sense approach to planning. Frankly, it is just plain good business to conduct them. However, I have read where some people in the IT field, such as the "Agile" methodology proponents, consider Feasibility Studies to be a colossal waste of time. If this is true, I've got a good used car I want to sell them. You practice what you preach. If a feasibility study is supposed to be succinct yet thorough, then so should be an article about how to write a feasibility study. Well-written and extremely helpful, thanks. I have used the elements highlighted within this article in order to justify new projects, proposals and programmes on several occasions. All these elements are short, sharp and to the point which gives the decision maker or body a quick analysis in order for you to gauge the right or intended decision. All six points enable you to justify your thought chain and come to a logical outcome. I now form this as a basis in order to justify changes or new ideas that could be implemented within my business development plans. Question: Out of 56, 14 or 27, which is the smallest? A project starts with an idea, but how do we know whether it is possible or reasonable? 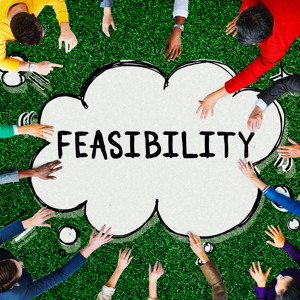 Conducting a feasibility study will tell us whether the idea is viable. How do you determine whether a project is feasible? As the project manager, you might carry out a feasibility assessment before the project starts. 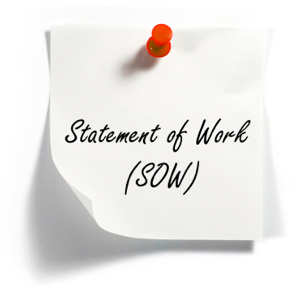 The Statement of Work, or SOW, is the bible for the work your project must produce. So how do you go about writing one for your project? Requirements gathering is an essential part of any project and a key project management skill. 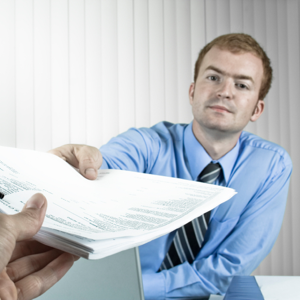 Read ten rules for successful requirements gathering.